The VISSUM team has a long-standing research tradition. We have had a Research, Development and Innovation Department since 1996 and a Clinical Research Ethics Committee since 2000. Biomedical research has been an institutional goal throughout our history, supported by different management teams and integrated into the culture of our professionals, who consider the research activity to be among the best due to its heritage and uniqueness. The R&D&i department is equipped with all the apparatus required for the full development of each new concept. Specifically, we have the means required to undertake in vitro laboratory tests, tests on cadaver eyes, testing on laboratory animals and clinical trials in human patients from Phase I to Phase IV. The philosophy of Vissum’s R&D&i Department is one of open research, promoting collaboration with experts from many different areas and consolidating, through the creation of national and international research networks, collaborations with centres of excellence from universities, commercial companies, research centres and national and international companies. 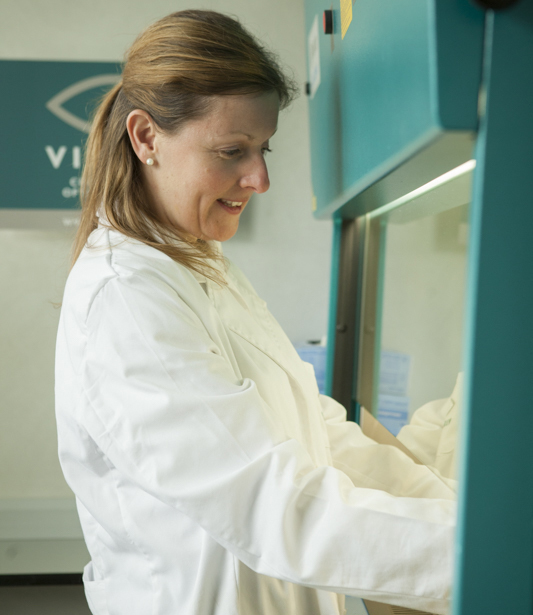 VISSUM’s research team aims to design and implement programmes of new therapeutic strategies for the treatment of the eye diseases that are currently difficult or impossible to treat. In addition, we are committed to more immediate goals, such as improving the competitiveness of research at a national and European level and becoming involved as protagonists in basic and clinical research with our partners in industry and academia. Creates the necessary conditions for VISSUM’s professionals to develop their research projects, raising funds and dedicating human resources. Collaborates with the industry sector by either suggesting projects to develop jointly with other companies or by receiving projects from companies in order to develop them scientifically. Effectively transfers the scientific knowledge acquired to the industrial environment or for use in clinical application to improve the lives of patients suffering from eye diseases.